Are you in the mood for holiday play? This book will keep you busy in the sun. Tuck it into your backpack and take it away on your travels. 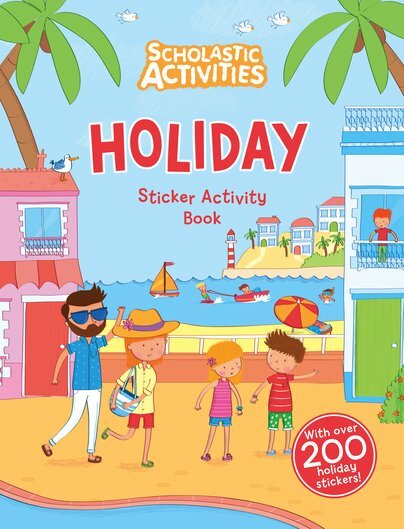 Tons of stickers, doodling, colouring and puzzles: great for the plane, beach and poolside. It’s got over 200 stickers to have fun with! Plus, you’ll love the summery colour pictures: as bright and breezy as a holiday snapshot.